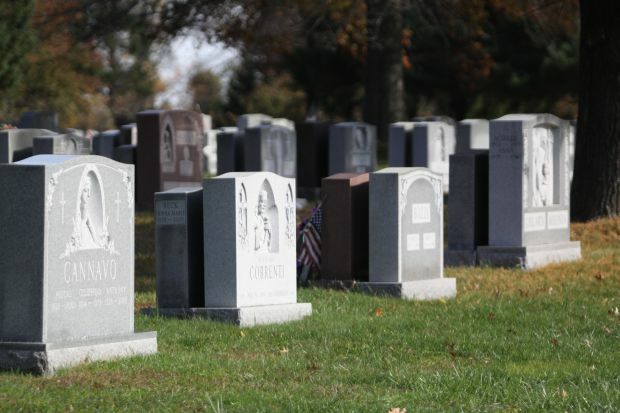 The Archdiocese of Philadelphia and Levittown-based StoneMor Partners L.P. closed the 60-year lease agreement for operations of 13 Catholic cemeteries owned by the archdiocese on May 28 that was signed in September 2013. Under the terms of the agreement the archdiocese receives an initial payment of $53 million that will be applied against archdiocesan deficits. It will also receive $1 million per year in years six through 20 of the agreement; $1.2 million in years 20 through 25 and $1.5 million in years 26 through 35. There are no payments other than the initial payment for years one through five and no payments for years 36-60. While the arrangement is expected to run through term either party can terminate the lease without cause during the 11th year of the lease. Although they have been leased for operating purposes to a private organization the affected cemeteries will remain Catholic cemeteries. The cemeteries to be leased are All Souls Cemetery, Coatesville; Calvary Cemetery, West Conshohocken; Cathedral Cemetery, Philadelphia; New Cathedral Cemetery, Philadelphia; Holy Cross Cemetery, Yeadon; Holy Sepulchre Cemetery, Cheltenham; Immaculate Heart of Mary Cemetery, Linwood; Resurrection Cemetery, Bensalem; St. John Neumann Cemetery, Chalfont; St. Michael Cemetery, Chester; SS. Peter and Paul Cemetery, Springfield (Delaware County); All Saints Cemetery, Newtown (Bucks County) and Holy Savior Cemetery, Penn Township (Chester County). Not included in the lease agreement were parish cemeteries which are not operated by the archdiocese. The lease agreement between the archdiocese and StoneMor Partners received the necessary permission from Philadelphia Orphans Court in February. Effective immediately, all full-time cemetery employees have been offered positions with two-year job protection by StoneMor at their present salary and equivalent health care benefits. The archdiocese remains liable for their retirement benefits up to the present. Robert Whomsley, who until now was director of the Catholic Cemeteries Office, has been named Archdiocesan Liaison to the Catholic Cemeteries. At the time of the September announcement, Archbishop Chaput said in a statement, “This arrangement serves the people of the Archdiocese of Philadelphia well by maintaining our cemeteries as sacred, dignified places of burial while offering employment and important protections for our dedicated staff. “This is not a decision I came to lightly. It is being entered into only after considerable discussion, prayer and approval by the Holy See. It allows us to retain ownership of the Catholic Cemeteries while creating immediate and long-term benefits to help us rebuild a strong financial footing. StoneMor is a local company with a deep experience in the management of cemeteries. This factor, combined with their willingness to maintain the Catholic identity of our cemeteries, made them the logical choice. The current perpetual care fund of approximately $30 million will be retained by the archdiocese in a special perpetual care fund for future use after the lease expires. Stonemor will be responsible for providing perpetual care during the lease and establishing a perpetual care fund for its sales of interment rights during the lease. StoneMor Partners (NYSE: STON) is owner and operator of 291 cemeteries and 90 funeral homes nationwide. Miller noted that the 13 cemeteries perform a combined 7,000 burials a year. I purchased a plot last year and have been paying on the installment plan. This month I did not receive the bill from the Catholic Cemeteries Office. Why is my question. Will the bills still be coming from the cemeteries Office or from StoneMOR? I wonder how this take over will affect those of us who own plots and at this time have not needed to use them? It is our understanding that you should not be affected at all. The cemetery will remain Catholic in nature and will still be owned by the archdiocese, though operated by StoneMor through the lease agreement. Also, a fund for perpetual care of the cemeteries will be continue to be maintained.